I popped over to my parents house and found that my mother tidied up the basement, where a not insignificant amount of neglected belongings of mine can be found. Among them I found an old issue of Animage from right around the time the Utena TV series completed. 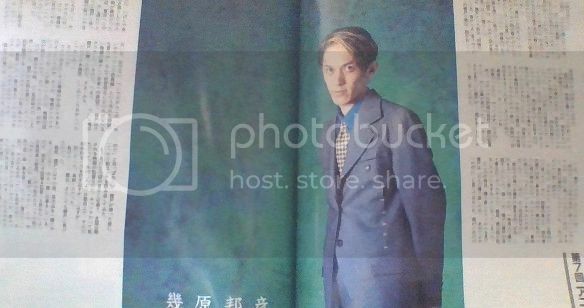 And in this magazine I found a two-page spread dominated by a photo of Kunihiko Ikuhara. There's an article he wrote in there too - evidently an installment in a series Animage had going on directors and how they ply their craft. Skimming it, I saw the phrase "avant garde" in katakana. Yep, that's our guy. I googled something like "December 1997 Animage Ikuhara Article" to see if it had been translated or anything, but it didn't seem that way. Before I commit myself to the effort of scanning or translating the thing, I wanted to see if it rang any bells with anyone here. The first line translates along the lines of "Let's put out a book".